Though the name may be off putting, this delicious condiment deserves it due. Delightfully tangy, curd is made typically with lemons, but any citrus can be used. Think grapefruit, pomelos and tangerines; here, I’ve opted for Meyer lemons – a hybrid of oranges and lemons – which have just the right combination of sour and sweet. Slather lemon curd on toast, dollop into your Greek yogurt (with a bit of honey!) or use as a tart filling. You can also it eat by the spoonful, standing in front of the fridge, as I do. Since you’re eating the zest, use organic citrus if possible. And, fresh eggs really do make a difference here, both in color and flavor. Note that curd can be stored in the fridge for up to two weeks, or frozen to enjoy at a later date. Make this before the last of winter’s citrus disappears! 2/3 cup fresh lemon juice (from 4 meyer lemons). Be sure to zest the citrus before juicing it! 1. 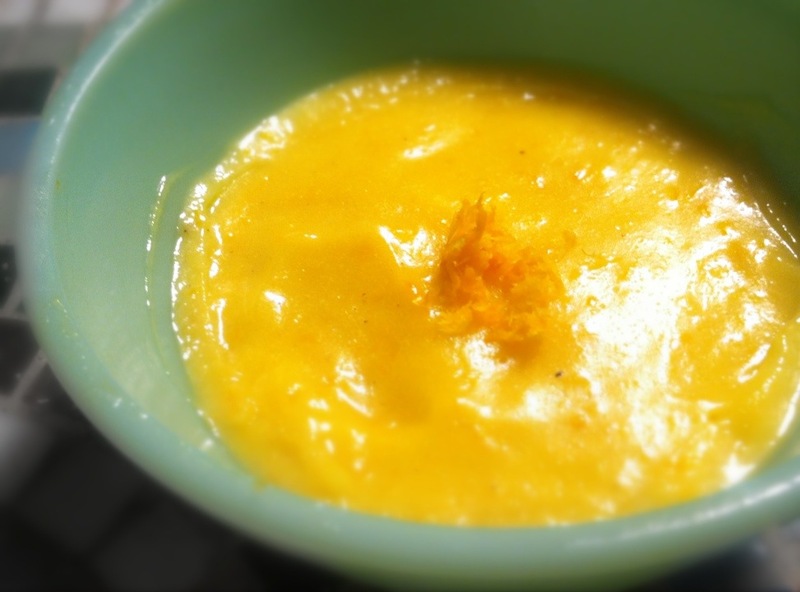 In a medium bowl, whisk together the butter and honey, then slowly beat in the eggs. Add in the lemon juice and stir to combine. 2. Pour mixture into a small saucepan set over medium-low heat and whisk, whisk, whisk. Cook, stirring continuously, until the mixture thickens and is jellyish – about 5 minutes. Pay close attention so the mixture doesn’t burn, boil or curdle – it’s ready when it clings to your whisk. 3. Immediately remove from heat and stir in the citrus zest. Pour the curd into a glass bowl or jar, then cover with wax paper and let cool completely. Store in an airtight container in the fridge.